Big Finish: Sherlock Holmes - The Empty House Review | Warped Factor - Words in the Key of Geek. 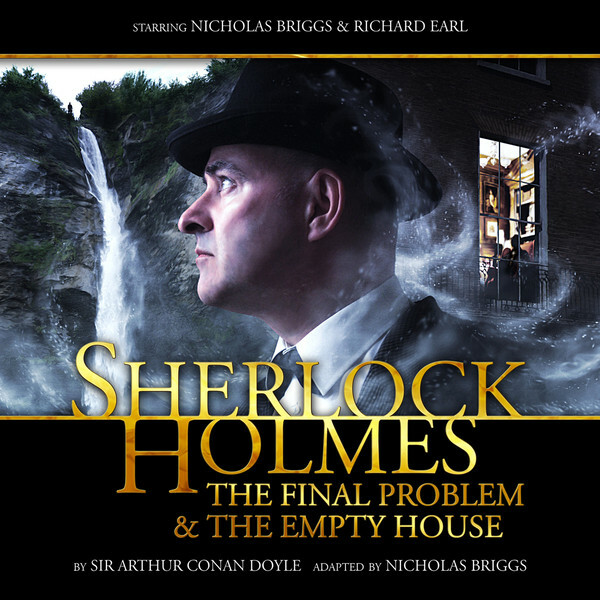 After his apparent death in The Final Problem, we return to the second half of Big Finish’s Sherlock Holmes release with Holmes’s resurrection in The Empty House. I commented in my review of The Final Problem how underwhelmed I was by this most significant of Holmesian events. The Empty House is more satisfying, although there are some hand-waving moments which I found a little frustrating. We find Watson effectively carrying out his own private investigations, particularly into the murder of a young man, Ronald Adair. This leads him to a chance encounter with an old, wizened book seller who turns out to be none other than Sherlock Holmes. Holmes proceeds to explain to Watson what really happened at the Reichenbach Falls as well as where he has been in the intervening years. With one foul swoop he also manages to lure and trap Colonel Sebastian Moran, an associate of Moriarty, who had murdered Adair and was also planning to finish what his associate could not, by shooting Holmes. At the centre, at least for the beginning of the story, is the locked room mystery of Ronald Adair’s death. Locked room mysteries are a staple of shows such as Jonathan Creek, although I can’t actually think of an occasion when Doctor Who has attempted one. Oddly, though, this mystery is ignored as soon as Holmes reappears only to be ‘solved’ with a rushed explanation at the end. Once Holmes returns, the story is more concerned with explaining his survival, his whereabouts for 2 years and what he is up to now; including the presence of a wax bust of Holmes in his old rooms at 221b Baker Street. The cast for this play is, again, very small. Nick Briggs gives a good performance as Holmes and, even though I quickly identified him doing an old voice for the bookseller, it is a good old man voice. Richard Earl is perfect again as Watson. Support is provided by John Banks as Sebastian Moran (and Lestrade) and Beth Chalmers briefly going Scottish as Mrs Hudson. Sound design and music are excellent and overall I found this a far better story than The Final Problem. It's a bit frustrating that Adair’s murder is summarily ignored and then cursorily explained but, bearing in mind Holmes’s survival and absence is just one long exposition, the script (and Briggs’s performance) manage to make this part actually quite engaging.